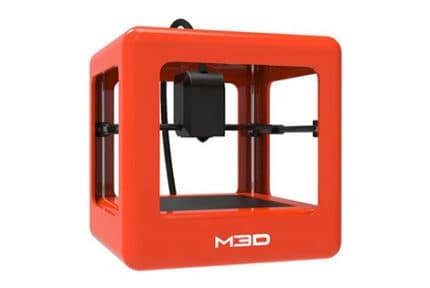 Felix 3D Printer Review 2019 - Why You Should NOT Buy This 3D Printer! 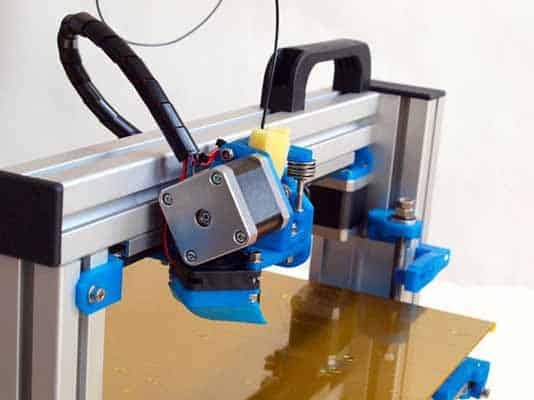 It’s easy to get focus solely on the most recent 3D printer releases, but in doing so, you run the risk of missing out on a little-known diamond in the rough. After all, as printers get more advanced, they tend to prioritize ease of use, which can leave tinkerers unsatisfied and hoping for more of a challenge. 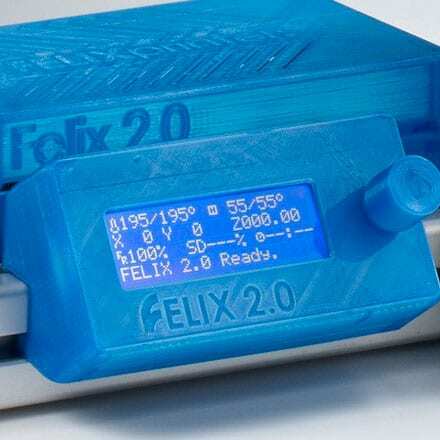 Today, we’re taking a look at the Felix 2.0, a discontinued 3D printer that balances user-friendliness with the capacity for modding and optimization. It’s a little tricky to find these days, but should you even bother? That’s what we’re here to find out. The Felix 2.0 can be bought either fully assembled, or in kit form, and thanks to its simplistic design, building it shouldn’t take too long. 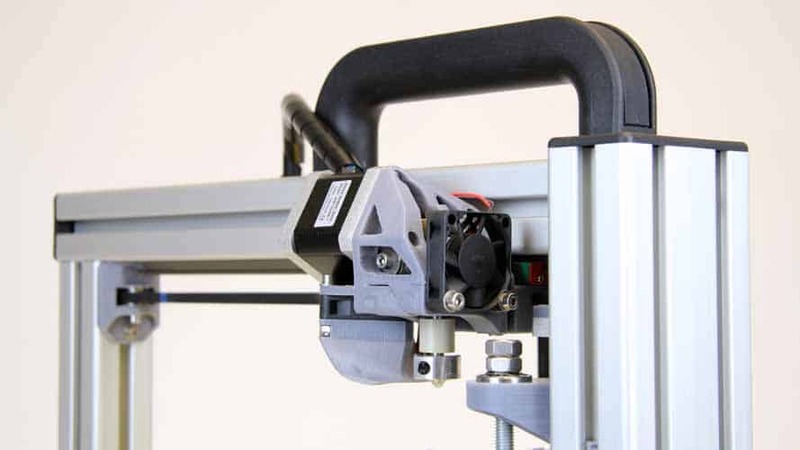 Notice how thick those supports are – this helps prevent wobbling and ensures that your extruder points exactly where it’s supposed to at all times. There’s another slightly unusual addition here – the carry handle. It’s worth noting that this is a very lightweight printer, so you could move it around if you wanted. That said, we’d recommend just finding a designated area for it so you don’t have to re-level the bed each time. Users can import models via USB or SD card, but there’s no WiFi support. There is, however, a pretty basic microcontroller you can use to start prints without being connected directly to a PC. These connectivity options are pretty standard for products in this price range, so we can’t complain. We wouldn’t exactly call this printer a workhorse. Don’t get us wrong: it produces reasonably detailed prints, but the quality could definitely be better. We noticed rough edges and highly defined layers, but this only really caused problems when creating interlocking parts. If you don’t mind a little post-processing, though, this is fine. There is one positive, though. The Felix 2.0 is very fast, with a maximum speed of 200mm per second. This does contribute somewhat to the low quality, and if you slow it down, you’ll find your prints look a lot better. It really depends on whether you want quality or quantity. The range of supported materials is a little disappointing. 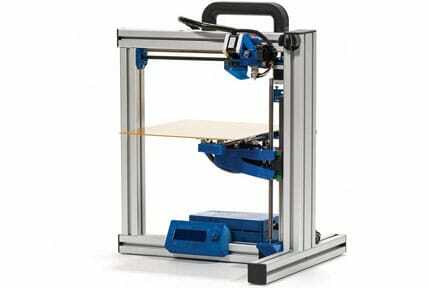 It can use PLA, ABS, or Nylon filament, which wouldn’t be an issue if the Felix 2.0 was an entry-level printer. At this price, though, it’s a tad underwhelming. At least you can use third-party materials, though. 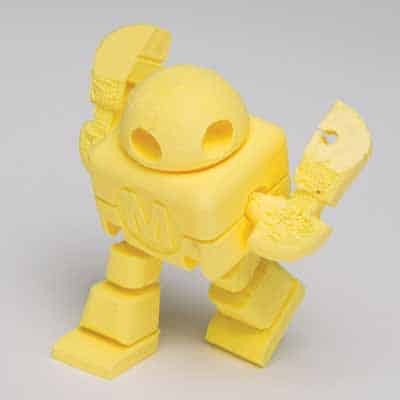 Everything about this model is designed to reduce noise when printing. The frame absorbs most of the vibrations, the bearings move almost silently, and the fans are barely audible. This means you can leave something printing overnight without worrying about disturbing other people in your vicinity. Because the design is so basic, calibration is a snap. 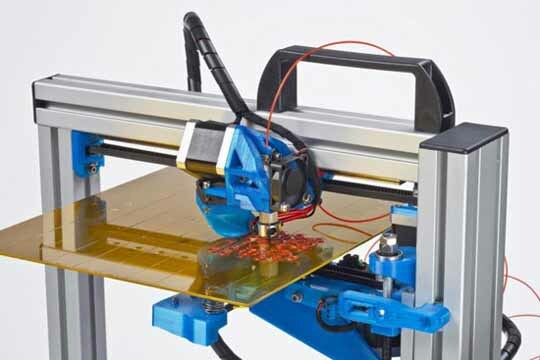 The heated bed can be leveled in a matter of minutes, and the included copy of Repetier-host comes with a Felix printer profile already installed. 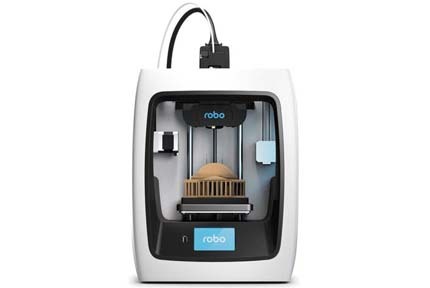 As a result, you can go from building to printing in just a couple of minutes. 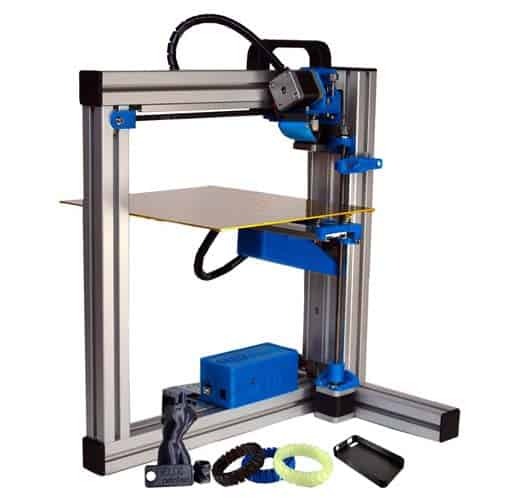 The barebones construction also means that this printer is very easy to mod. Want to add new features or upgrade existing components? No problem! You’ll find that it’s very accommodating, and the range of things you can do is limited only by your imagination. Now, the price is the Felix 2.0’s biggest problem. Fully assembled models retail for around $1800 and are only available from third-party sellers. Really, for this price, we’d expect to see a little more functionality, but instead, it seems to be targeting intermediate-level users without much to offer them. You should also consider the fact that the Felix 3.1 is available from the manufacturer for around the same price. The two models share many features, but the later version obviously has some improvements. With this in mind, and given how hard it is to find, the 2.0 becomes much less attractive. Whichever model you choose, your running costs should be pretty low. The supported materials are all pretty inexpensive. There’s a huge variation in terms of brand pricing, however: while you can find spools of PLA for around $10, more advanced variants can cost far more. To its credit, Felix has a fairly comprehensive support area. 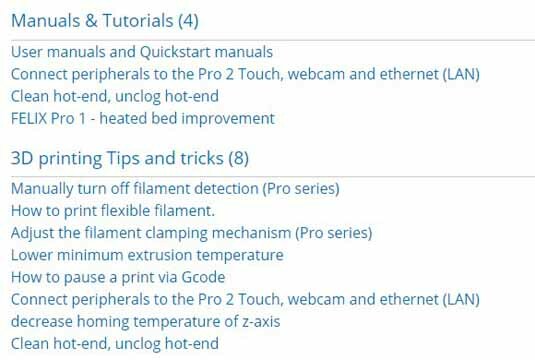 It provides generalized troubleshooting and maintenance guides, plus there’s a forum for users who need more detailed information. You can also submit a support ticket to get technical help straight from the manufacturer. Felix offers a one-year warranty on its printers. Interestingly, the terms don’t say that you have to have bought it directly from Felix, so if you can find a 2.0 from an external supplier, you should still be covered. You will have to provide proof that the product is still less than a year from its purchase date, though. Really, with how simple this printer is, it’s unlikely you’ll need much help. 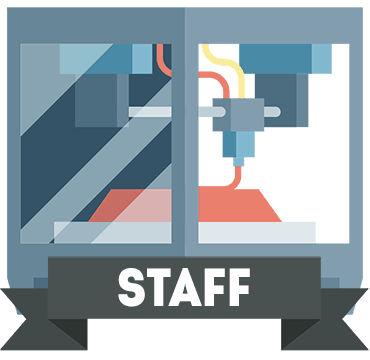 That said, we’re glad it’s available at no extra cost for users who are maybe new to 3D printing and need a little extra support. Of course, the 2.0 is a few years old now, so you might struggle to find users who can help resolve model-specific issues. The Felix 2.0 is a solid little printer for those who want a challenge. Unfortunately, it’s hard to come by and a little too expensive. If you can find one used, we’d recommend giving it a try.